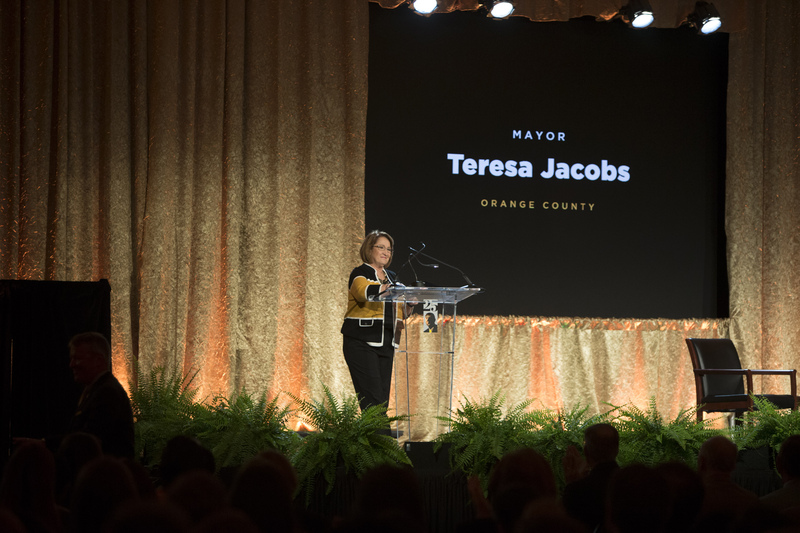 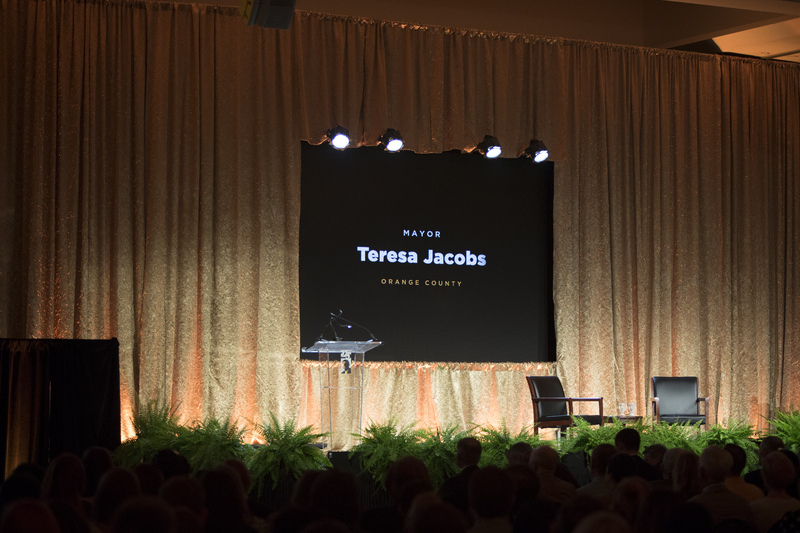 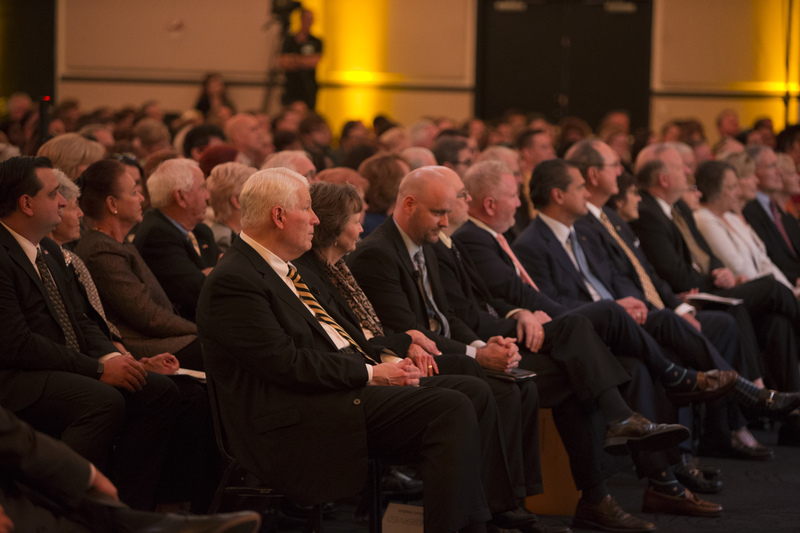 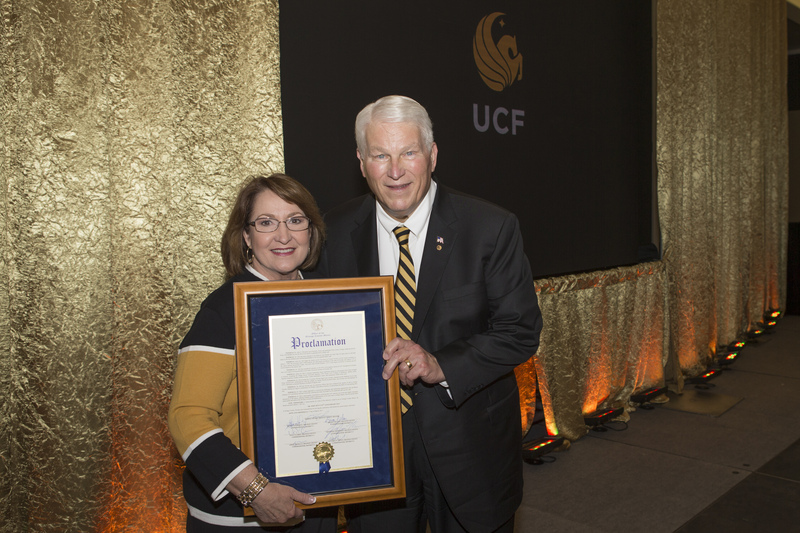 Orange County Mayor Teresa Jacobs joined the University of Central Florida and community leaders to celebrate Dr. John C. Hitt’s 25th anniversary as the University’s president on March 1. 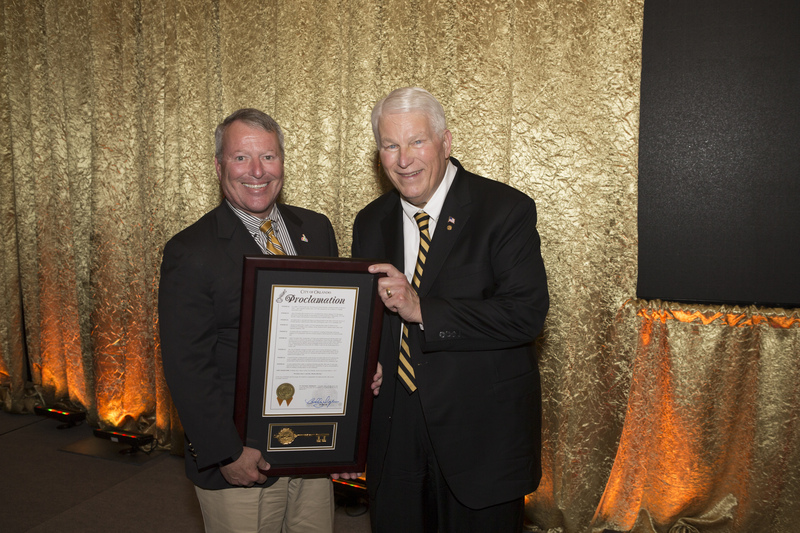 During a packed celebration at the Student Union, Mayor Jacobs issued a proclamation in President Hitt’s honor. 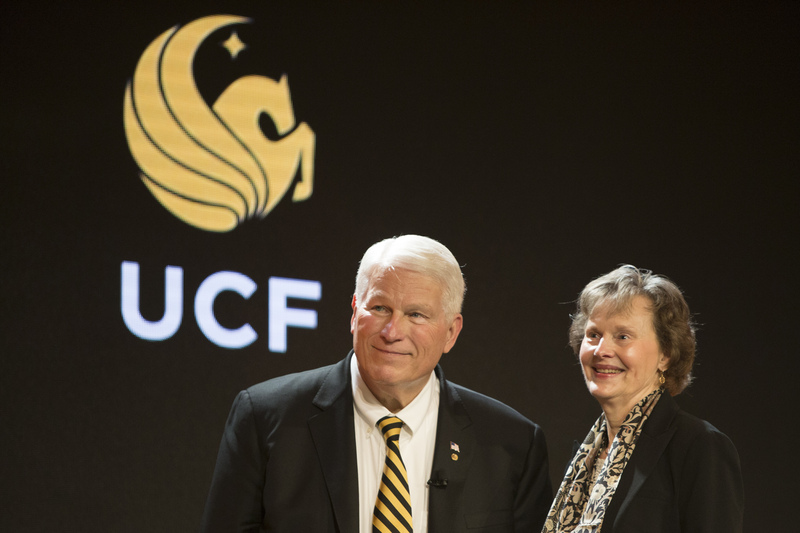 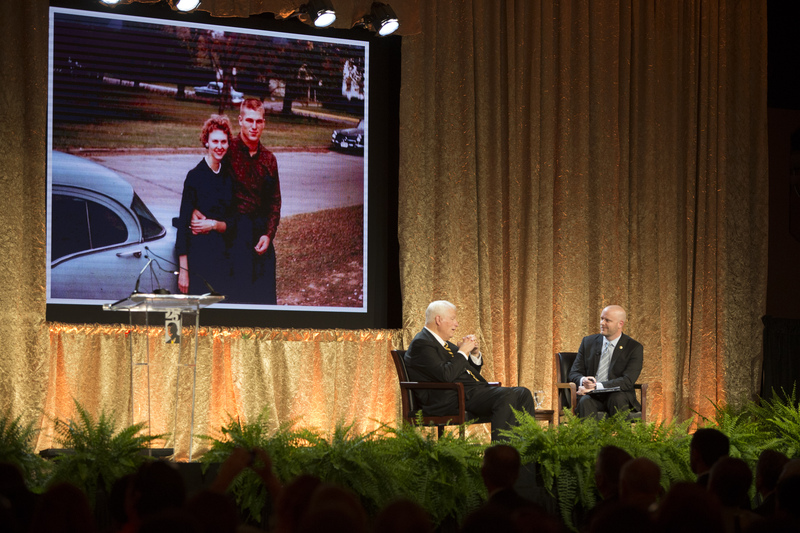 Several presentations were also made to honor President Hitt’s service to Central Florida and a special award was given to his wife, Martha. 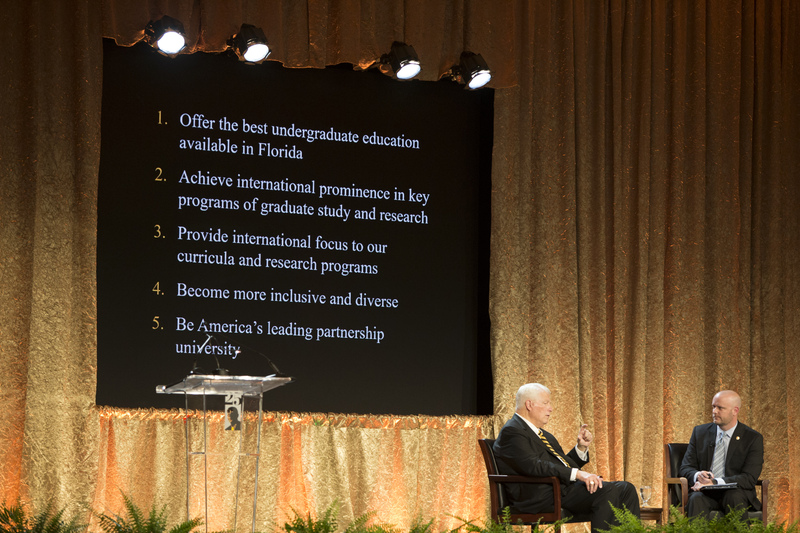 In March 1992, President Hitt outlined his five key goals for the growth of UCF: Offer the best undergraduate education in Florida, obtain international prominence in graduate study and research, provide a global focus to curriculum and research programs, become more inclusive and diverse, and become America’s leading partnership university. 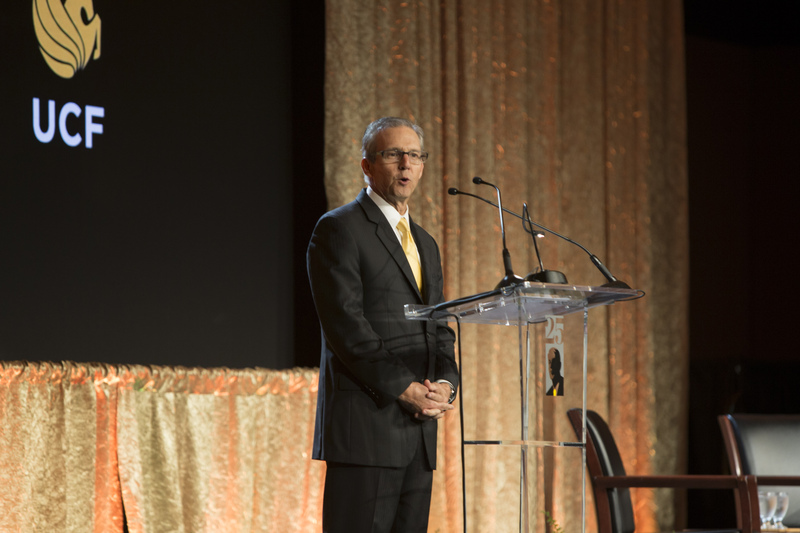 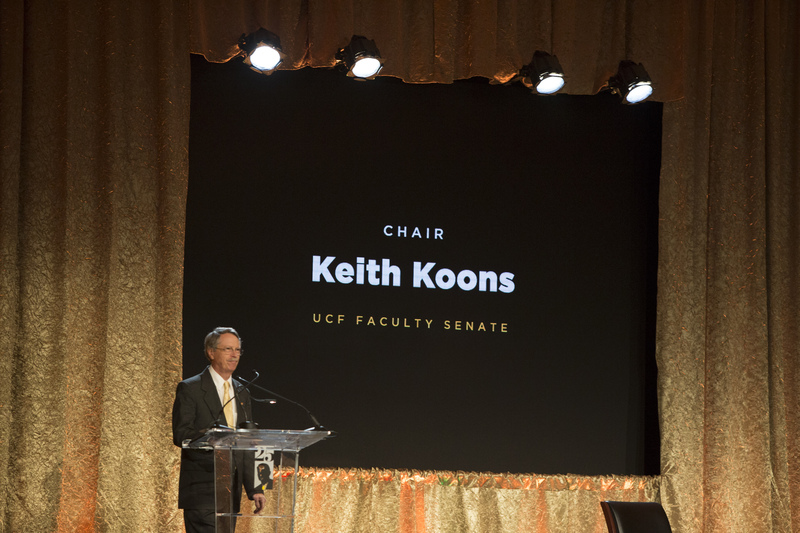 Aside from being the second largest university in the nation, with a population of more than 64,000 students, UCF has seen success in their partnership programs, athletic program development and community relations under President Hitt’s leadership. 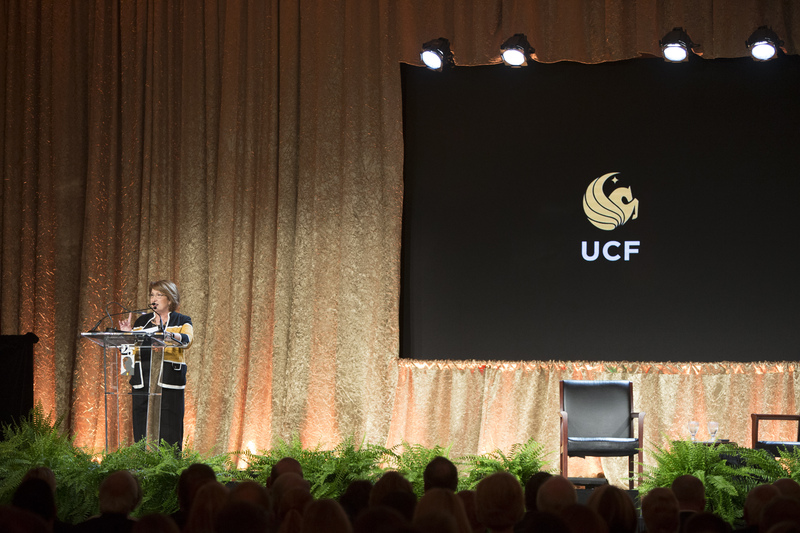 UCF awarded its 300,000th degree in December 2016. 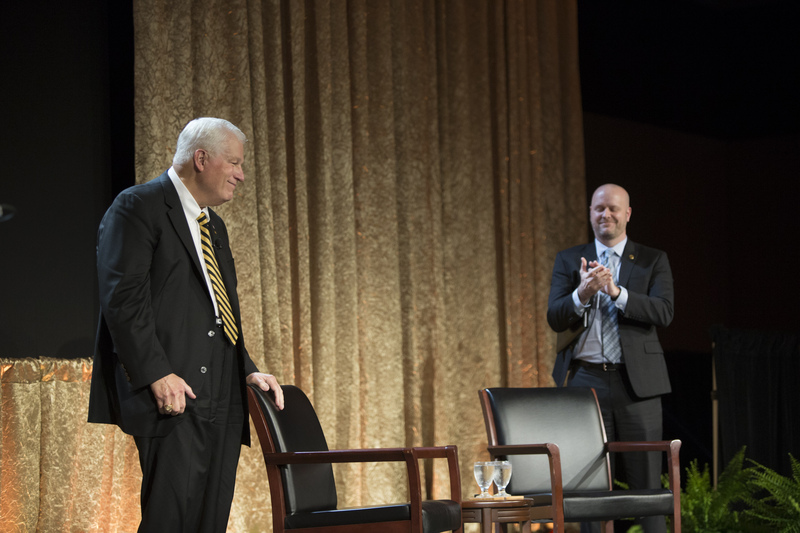 President Hitt has conferred 241,918 of them and will likely add another 15,500 during the 2016-17 academic year. 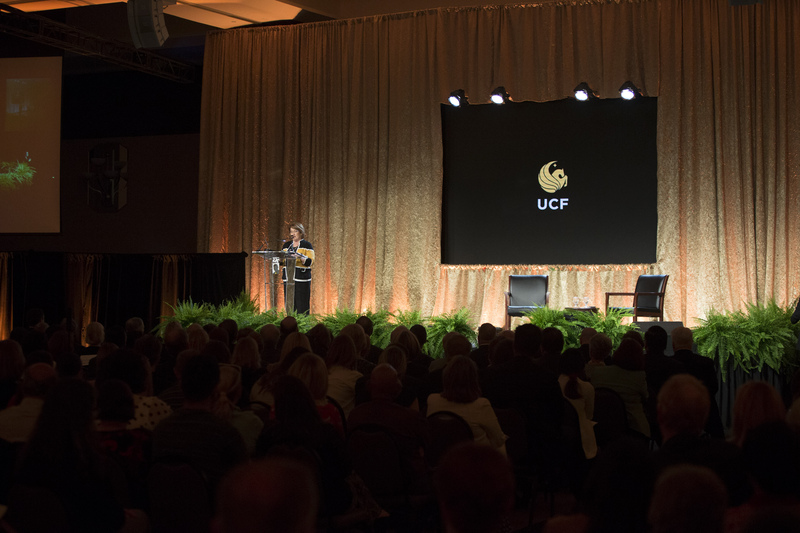 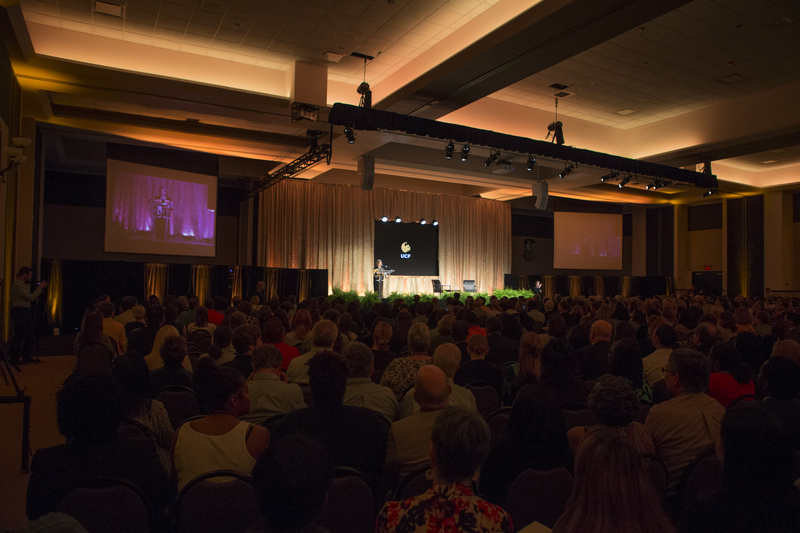 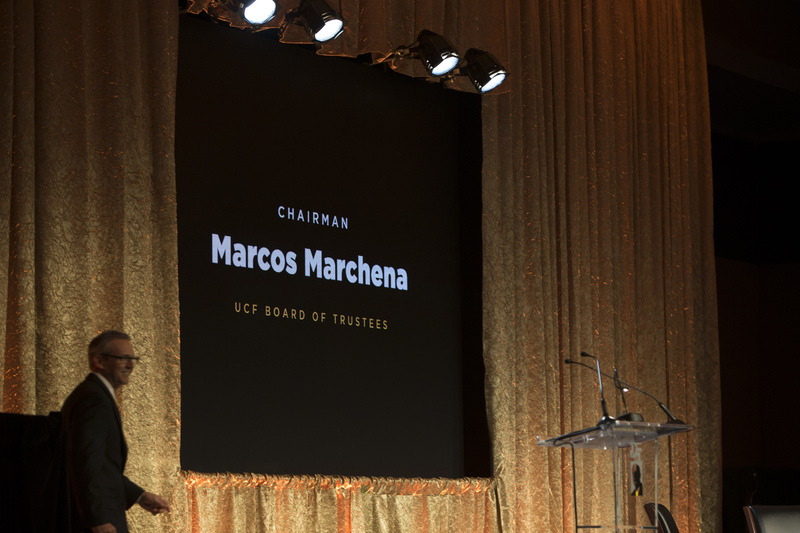 This is more than 80 percent of all degrees conferred since UCF’s founding. 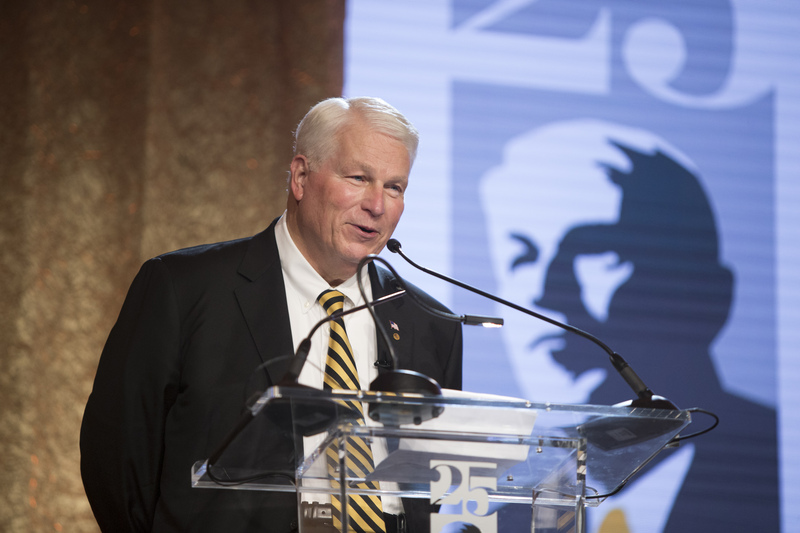 In the State University System of Florida (SUS) history, President Hitt ranks first in number of degrees conferred. 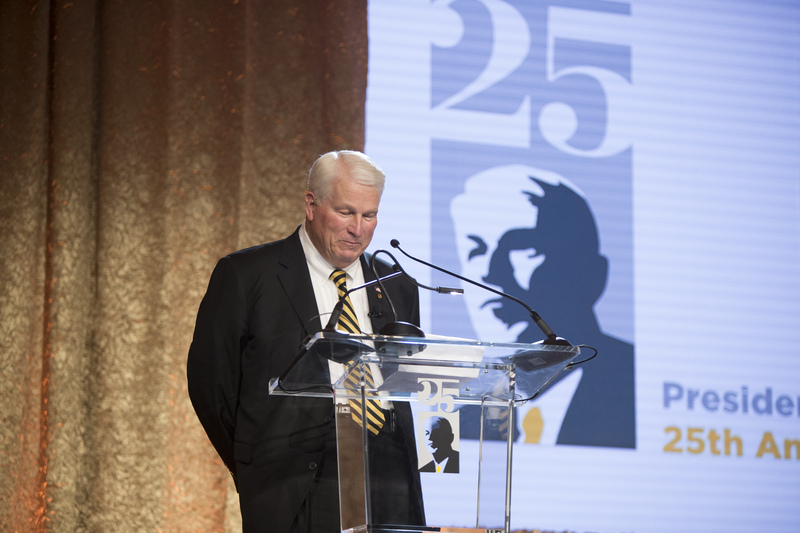 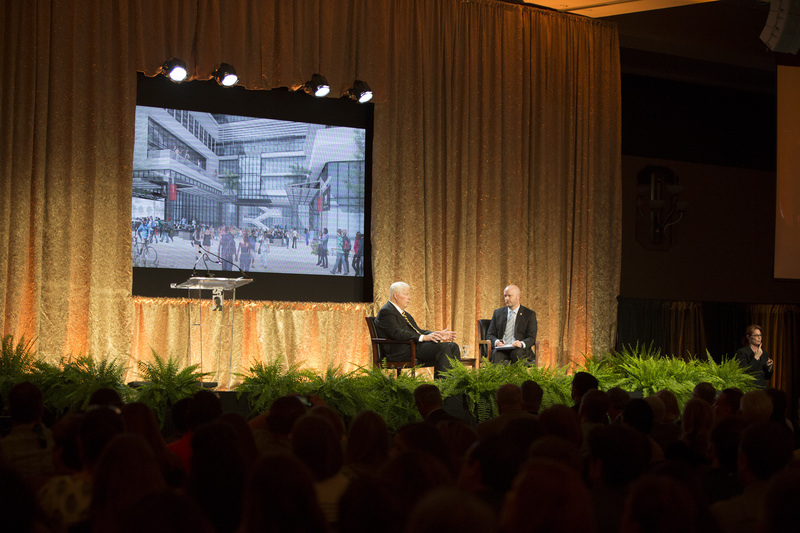 UCF has transformed over the last 25 years under President Hitt’s leadership and has grown into one of the largest universities in the nation. 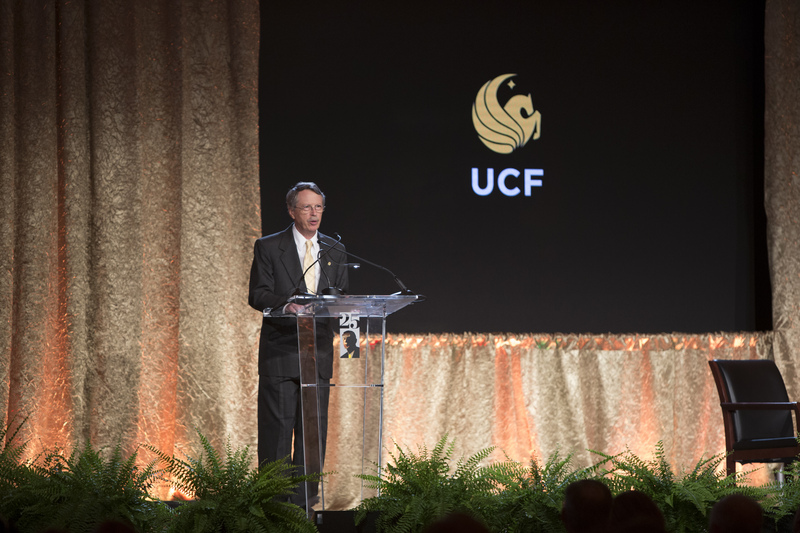 UCF has increased research funding by more than 413 percent, and partnerships between the university, Medical City and Central Florida Research Park have flourished. 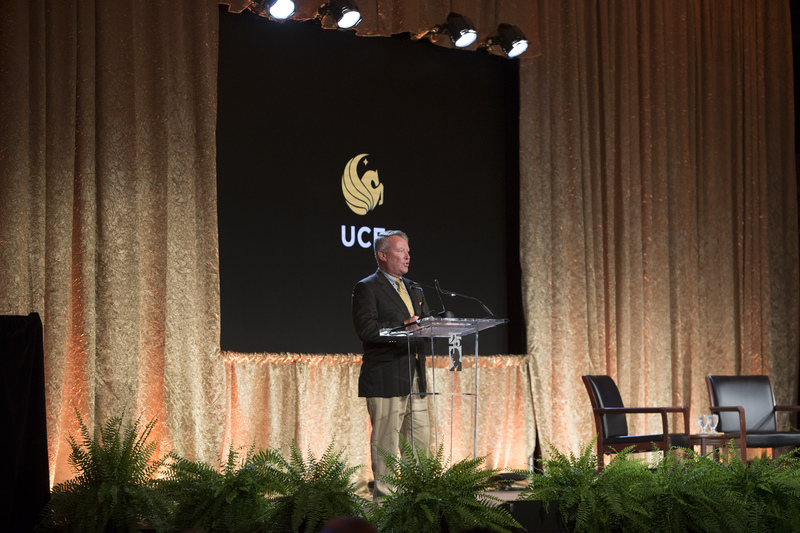 One of President Hitt’s greatest accomplishments is Medical City in Lake Nona, a partnership between UCF and the Hospital Corporation of America to create a teaching hospital and a vibrant medical city. 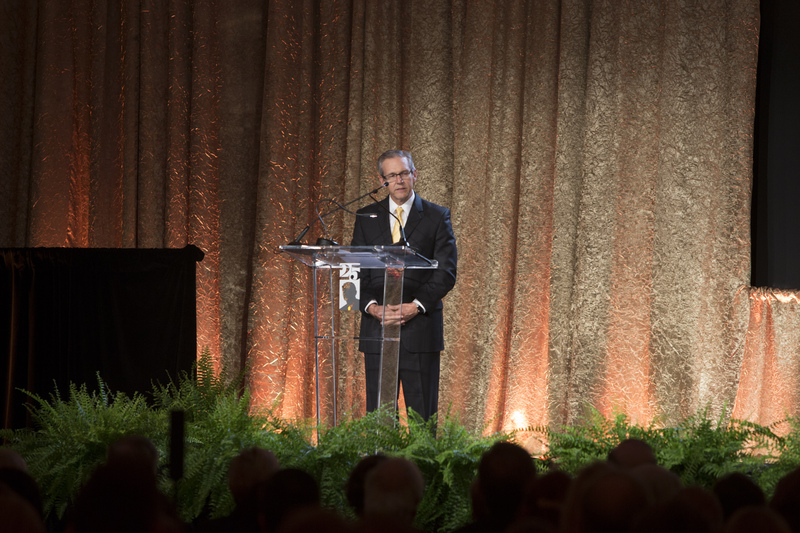 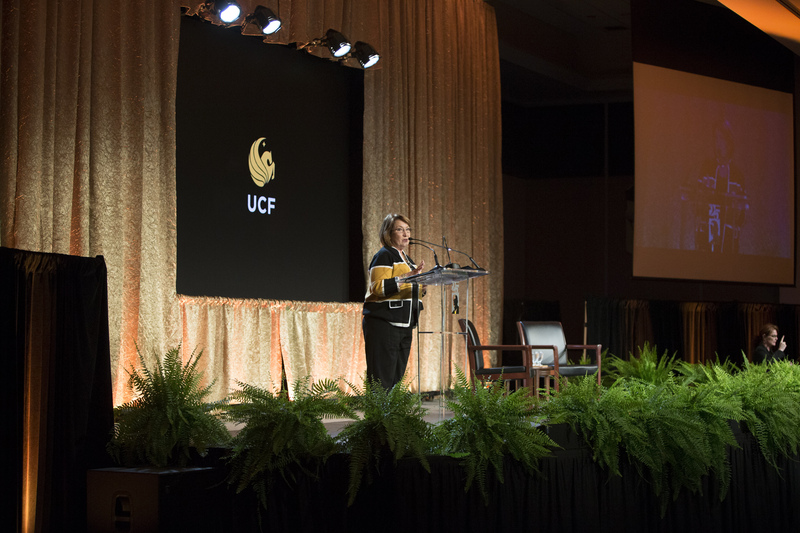 The first 10 years of the medical school at UCF was designed to create a better program to train medical students. 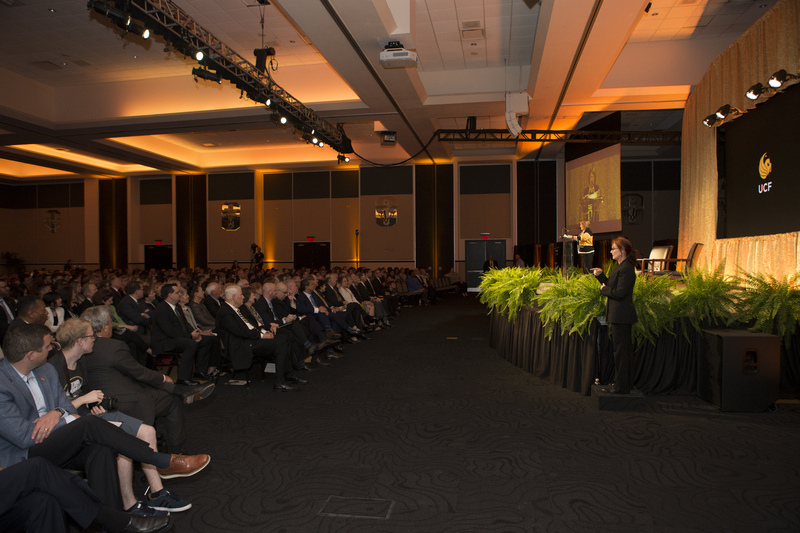 This new generation will focus on developing better research and patient care. 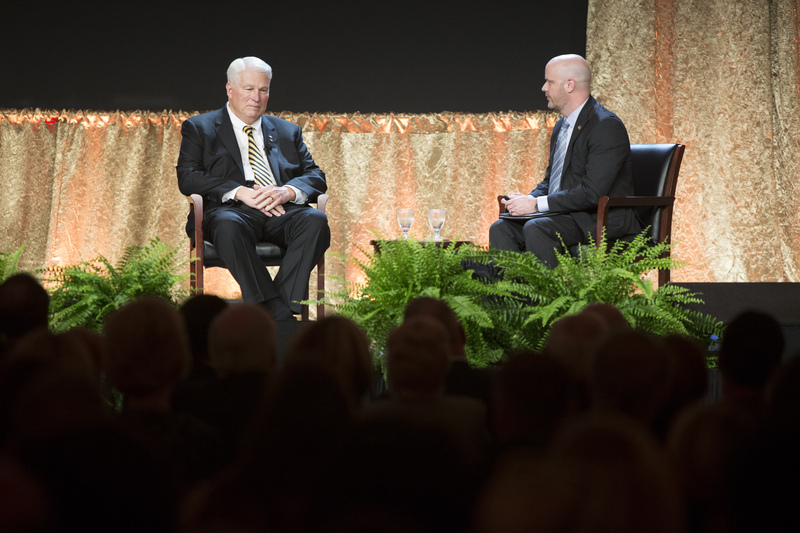 Under President Hitt’s leadership, the growth of the athletics department has also increased tremendously. 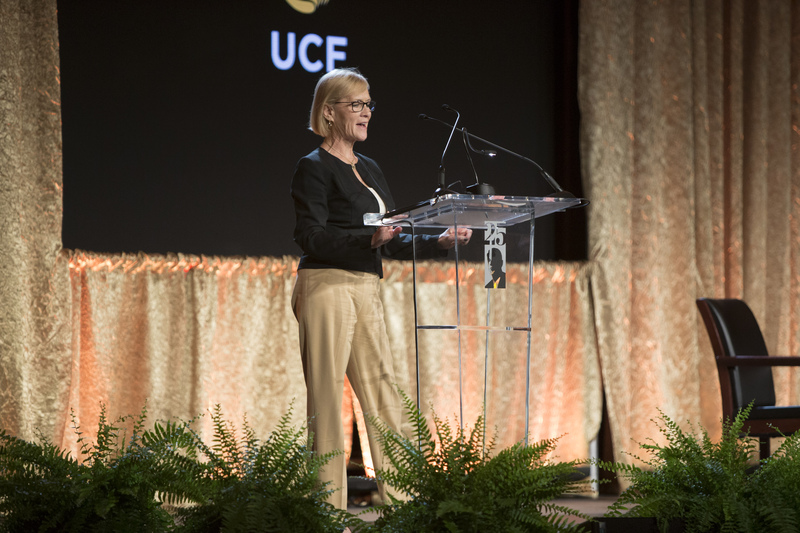 UCF has produced several notable professional athletes for the National Football League, including Blake Bortles, today a quarterback for the Jacksonville Jaguar; Breshad Perriman now with the Baltimore Ravens and Clayton Geathers, who was drafted by the Indianapolis Colts. 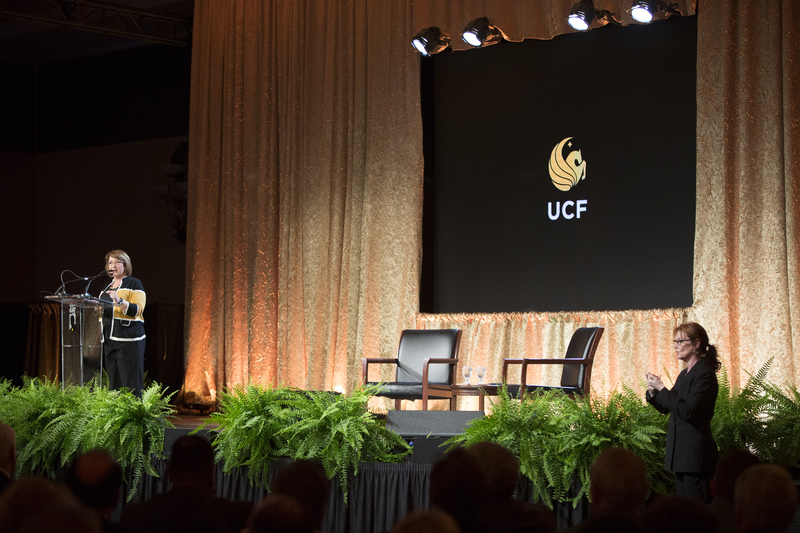 Daunte Culpepper also played football at UCF in the late 1990s before playing for the Minnesota Vikings, the Miami Dolphins, the Oakland Raiders, Detroit Lions and the Sacramento Mountain Lions. 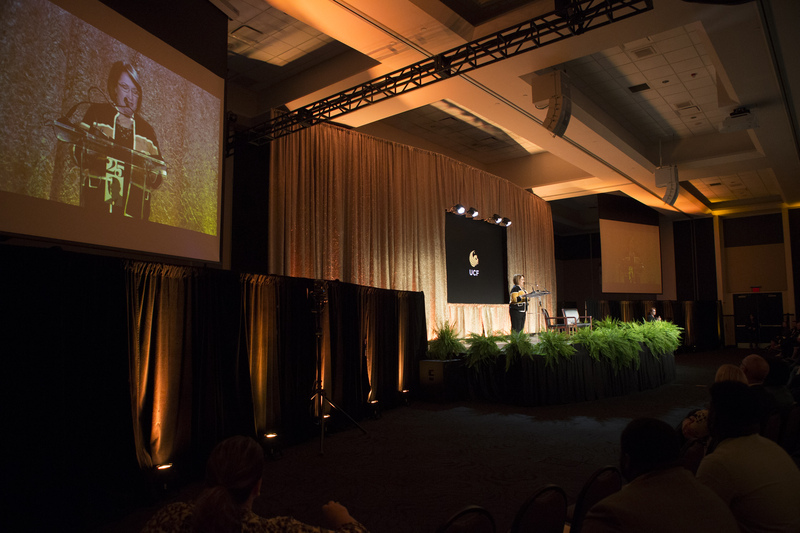 Currently, the grade-point average (GPA) for student athletes has exceeded the 3.0 benchmark during each term for the past eight years. 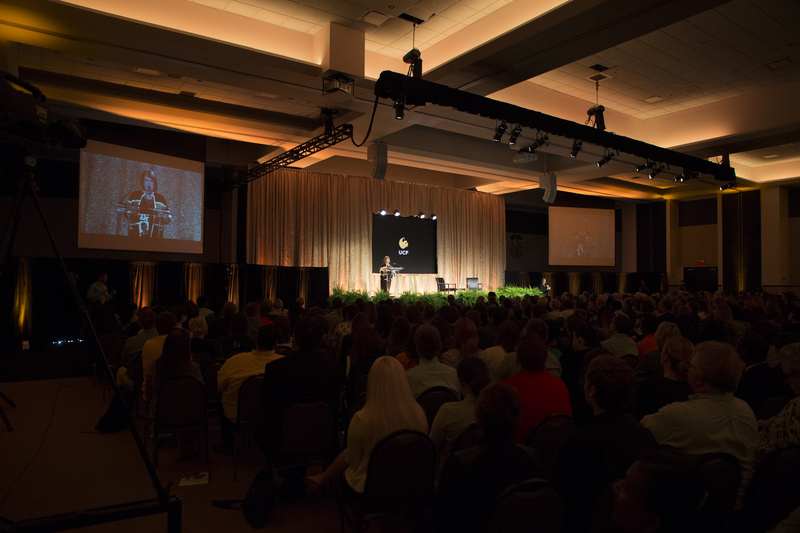 During the past academic year, 46 student athletes earned a perfect 4.0 GPA. 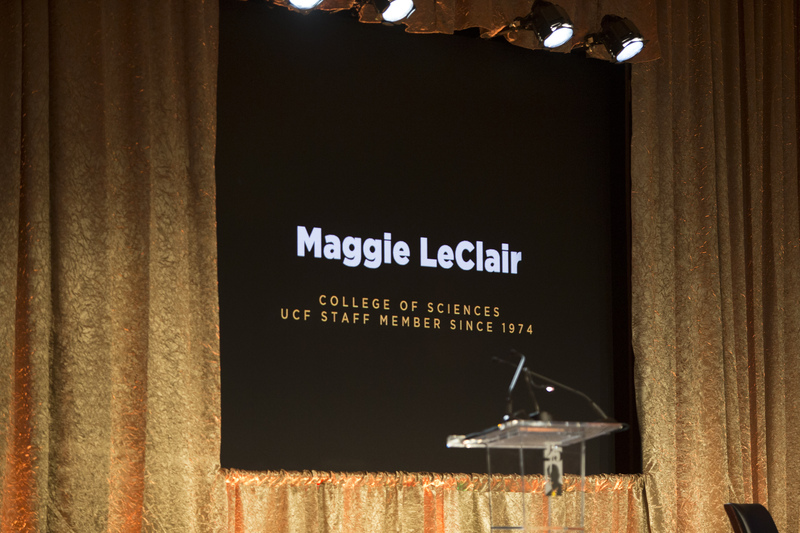 The Graduation Success Rate of student-athletes at UCF is at 93 percent, the highest in the state of Florida and a tie for the highest among U.S. public institutions. 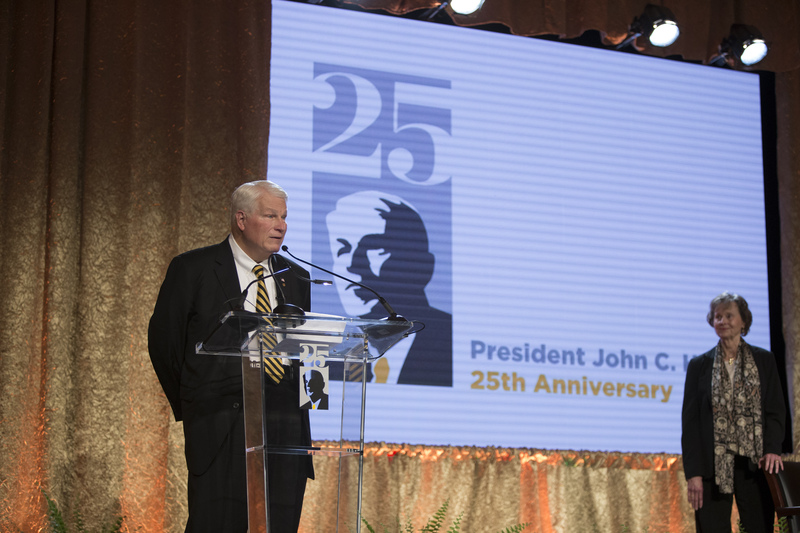 A collection of photos from Dr. Hitt’s 25th Anniversary Celebration are available on Mayor Jacobs’ Flickr album.